Christopher Jay outlines the path the NBN has taken and looks at where it can go from here including FTTdp. If you're spending $40bn - $60bn on infrastructure, shouldn't you have something to show for it at the end? Until now, the controversy over the relative merits of various approaches to implementing a broadband network has been conducted in terms of FTTP (Fibre To The Premises) against FTTN (Fibre to the Node), mainly on the grounds that fibre to the node is cheaper and quicker to install. 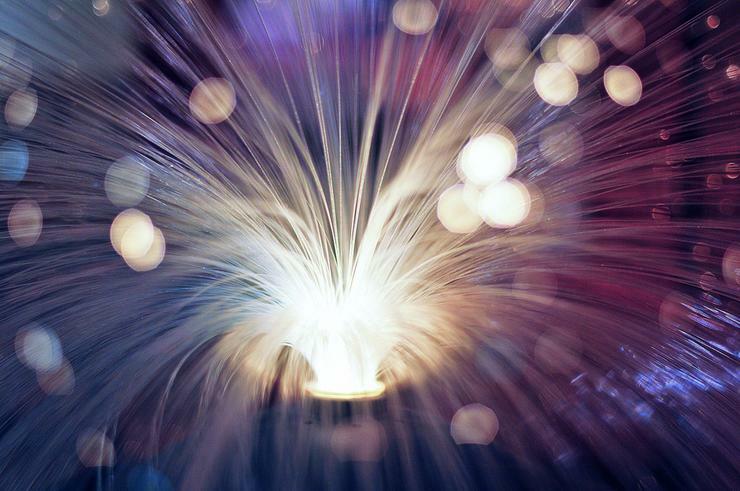 But from now on, it could be more illuminating if we contrast fibre to the node with a newer entrant, fibre to the delivery point, or more colloquially, fibre to the pits. Fibre to the pits, under the initials FTTdp, has been attracting admiring glances in technical circles since 2014. To appreciate its attractions, we should step back and do a quick refresher on the typical, pre-existing Telstra copper telephone network. Services from suburban exchanges fan out for long runs, which can be several kilometres in distance, of copper wire or these days increasingly optical fibre, connected to the familiar cylindrical street pillars. Local distribution of services starts from these, often painted grey with a housing over vertically mounted arrays of junctions connecting to individual copper pairs, typically serving around 200 people. The lines then split up to head off to delivery point pits distributed around the neighbourhood, close to the actual customer premises. At the delivery point pits, the wiring is further split into perhaps six customers, and runs into each individual house or other building connected. In the fibre to the node concept, a new street cabinet is built, mostly within 50 metres or so of an existing street pillar although in more closely settled areas an extra one sometimes has to be added somewhere else. The street cabinet converts the optical fibre traffic over its fibre link to the exchange into electrical signals for the rest of the way to the customers over the pre-installed local copper wires. According to the NBN, the maximum distance of travel over copper should be no more than 1,000 metres as speeds fall below the guaranteed minimum after that. It occurred to some technology people that it would be possible to take optical fibre, with all its advantages, closer to the final customer by bypassing the street pillar and street cabinet stage and installing optical fibre all the way to the delivery point pits. Among the spate of recently leaked NBN documents is the intimation that based on trials, this would only cost on average another $450 per customer, compared to the technically inferior fibre to the node. What makes it possible is a direct counterpart of the large street cabinet used in FTTN. Called a Delivery Point Unit (DPU) it has portals for six customers (units can be built with more if required). It is much easier to identify whose wires are which out of six (or whatever) portals than for the 384 of the Australian format street cabinet. And where the street cabinet is a large unit with doors, the new device is a small, handheld item which a sales or technical director can toss easily from one hand to the other in front of an admiring crowd of exhibition visitors, as was happening recently at Sydney’s CeBIT gathering at Olympic Park. Although there is a fair bit of miscellaneous cost data around, the ongoing political duel between Labor representatives Senator Stephen Conroy and Jason Clare, and the Turnbull Coalition’s Prime Minister Malcolm Turnbull and Communications Minister Senator Mitch Fifield has seen the promulgation of some material shaped to the viewpoints of the warring parties, without too much in the way of mutually agreed costing formulations. The NBN provides statements on costs per premise for say, FTTN, but leaves hanging such questions as can we just multiply that by 384 (the number of portals) to get the total actual cost of a street cabinet, or should some of them be discounted as spares for future expansion, how are overheads apportioned, are all actual expenditures fully attributed or are some of the technical bits and pieces allocated elsewhere, and so on. So perhaps we could just adduce some strategic considerations and then invite comment. For the newly proposed FTTdp, the cost of a small, handheld distribution point unit is not going to come anywhere near the cost of a full street cabinet (it doesn’t even have to be painted green). One must immediately point out that there will be a lot of DPUs for each street cabinet, so the cost will mount up. Dividing 384 by six, that could be up to 64 DPU’s and up to 64 separate pit installations replacing each single street cabinet. The street cabinet has to have a concrete stand, a sizeable installation cost including temporary copper cable connection to its nearby street pillar, fans for cooling, some large batteries (red to date), a housing and lots of high tech electronic equipment. One crucial issue that really should be addressed soon for the wider public is power costs. A fibre to the node street cabinet needs a power supply, either metered or taken as read on bulk supply terms. An offtake unit has to be attached on the nearest street power pole, a cable run down the pole to the ground and then the power cable taken underground to the street cabinet and connected. First off, the connection process for each node is a bureaucratic nightmare. Thereafter there will be annual power costs. To counter random power cuts, each unit has several standby batteries. Officially these should last 13 years; some people in the field, particularly in more northerly parts of Australia, are forecasting more like four. Unlike the street cabinet, it’s up to 64 equivalent DPUs sitting in their local Telstra pits don’t need to connect to the local street power system. Their electronics typically include a DSL access multiplexer (DSLAM) which can be configured to handle up to 24 users, plus an optical line terminator (OLT). Their minimum heat, low power needs can be provided with reverse power feeding from one of the premises over the already installed copper lines. It is a bit of power use but it’s not costing the NBN anything significant, unless you want to include a notional component for the power feed circuitry from the initial purchase price of the DPUs. Although telephone wires were sometime mounted on poles, back in the days when the service came from the Post Master General, for a long time they have been placed underground. To extend optical fibre the extra distance to the near home local Telstra pits, in general there is unlikely to be much need to extend excavation. The fibre can usually be drawn through existing underground ducting, so the incremental cost for a contracting team already on the ground and working steadily on an FSAM (Fibre Serving Area Module) is unlikely to be too much. A relevant consideration at this point is NBN’s recent field trials with what is called skinny fibre, trialled recently in Ballarat and Karingal. Skinny fibre, as its name implies, is a stripped down version of the normal optical fibre, a bit easier to bend and a bit easier to thread through tight spaces in ducting. It promises further cost reductions, according to the NBN. One remaining issue is the cost of maintenance and remediation. Once installed, a FTTdp system should have minimum maintenance needs, although there is still some residual copper on the local wires into the premises. The fibre to the node approach, leaving quite a bit of copper around, not always in very good condition, should on average chew up a bit more maintenance expenditure. On this basis, it is a little difficult to see why FTTdp shouldn’t actually be cheaper than FTTN around Australia, as well as providing more capacity and reliability through less overall reliance on residual copper. There are some areas in Australia, though regrettably only a minority, where relatively large ingress ducts were provided in past times to pass telephone cable into the house. In these cases there is no need for any intermediate stage; the optical fibre can just be run immediately and inexpensively into the premises to provide an on the spot, full FTTP solution to general acclaim. More generally, if a particular householder wants to take up the current option of ordering a full upgrade to FTTP at their own expense, the cost and inconvenience of doing so will be much less with the fibre already up to their local Telstra pits than stuck quite a way down the road in a large, green street cabinet. A really key issue in this whole debate is a need for Australia to have a much higher capacity broadband system generally available around the continent. This particularly includes the need for high upload capacities for business use, for uploading large quantities of image material, cartoons, concept drawings of building designs, colour pictures of produce export availability, disk imaging, offsite backup solutions for business records and an expanding palette of possibilities. The internet retailer iiNet spelt this out forcefully on 7th March this year in a pungent submission to the long-running Senate NBN Enquiry. It decried the superficial debate so far on internet capacity, which didn’t seem able to get much past relatively trivial issues relating to individual consumption of entertainment, with the focus on downloading capacity. “The performance of data uploading features strongly in a variety of case studies of iiNet small business customers …. In all cases, upload performance is the key to their purchasing decision. Nowhere in the strategic review is there any consideration of upload performance to the small business sector of the economy, or at all. Any business utilizing broadband will confirm that upload performance is ‘mission critical’ and yet little attention has been given to this issue, which is strategically important to the Australian digital economy. This speed (rate of transmission) issue is one of the issues picked up in the ALP election policy on broadband released on Monday, 13th May. It pointed out that Australia had dropped to 60th in the world in average internet speeds. This is noteworthy as far as it goes, but if the focus is on satiating people who want to watch two television sets at once on an internet feed, or who want to play fast action, ultra hi definition colour action sagas against multiple opponents, then it is missing the point a bit. If the election debate can be steered a bit more to the economy-wide benefits that would be possible, including consumer business interaction and the need for more ultra hi definition colour action sagas featuring multiple opponents being created within and sold from Australia, to complement the steady inflow from abroad, then it would be more valuable. In an effort to exhibit a more rational approach, the ALP has capped its planned broadband expenditure at just $1 billion more than anticipated from the other side of politics ($57 billion, as against $56 billion). Public equity would be $29.5 billion and the initial rollout completed by 30 June -- parameters the same as the Government. This does suggest that the Government would have an opportunity to engineer a low key approach back from the fibre to the node towards the higher capacity FTTdp approach, with the possibility of expenditure being no greater and possibly, after detailed analysis and further trials, costing less. And FTTdp might even provide a path back to full fibre to the premises, with fibre replacing copper in reconfigured DPUs.